On The Banks of Chao Phraya (Bangkok) | ADDIN | Another way for us to speak.. On The Banks of Chao Phraya (Bangkok) – ADDIN | Another way for us to speak..
23-27 Feb 2015 – Alhamdulillah, we’ve finally arrived in Bangkok. We’ve been thinking about this trip for quite awhile & we’re so glad it has come to real. 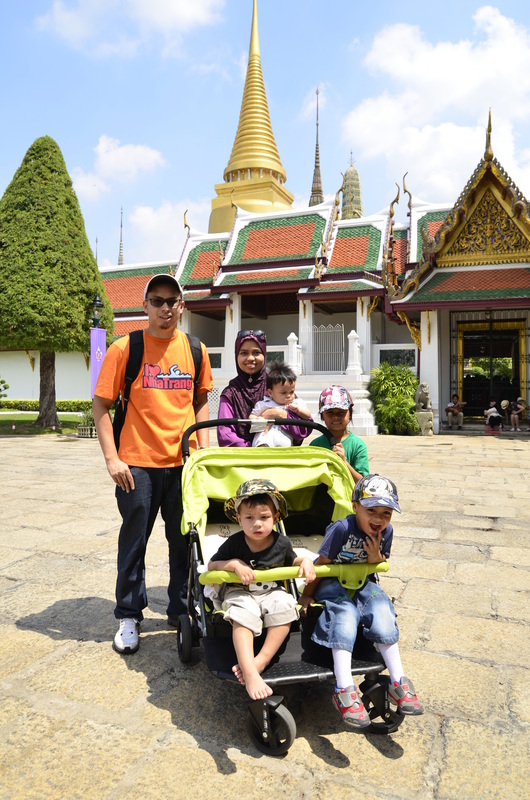 After googling around & asking friends with experience about Bangkok, we put together a family friendly trip suitable for ourselves with children & babies. We spent some 5 days in Bangkok, with 3 full days getting around the city. We stayed at Waterford Diamond serviced apartments near the Philippines embassy in Sukhumvit. We spent the first whole day resting at our hotel after long consecutive journeys the past few days. By sunset, we walked the streets around our hotel, just to experience a stroll in Bangkok. We initially planned to walk around Siam Square, but found that it was difficult to bring a baby stroller up the BTS Skytrain, so we continued walking within a 1 km radius from our hotel. We eventually stopped at Thong Lor night market to try out some local food. New favourites discovered were mango sticky rice & fried squid roe. We then walked back to our hotel, preparing for tomorrow’s rounds. The next day, we took a private city tour. 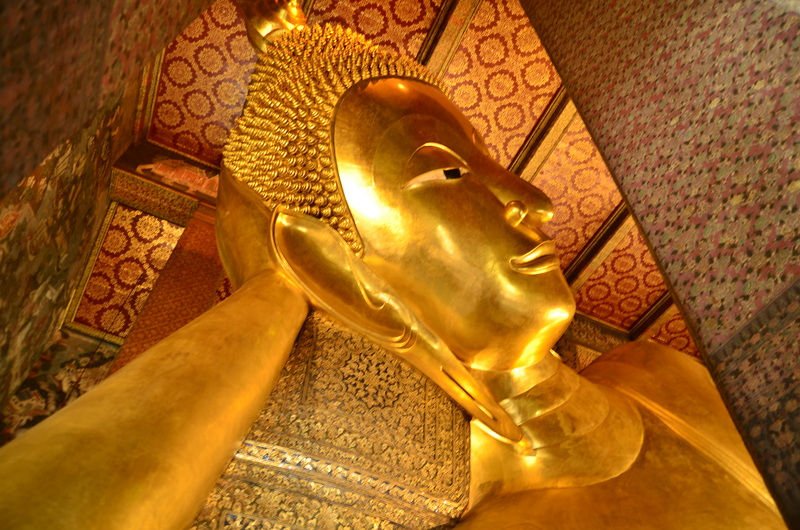 We first visited the Grand Palace & the nearby Wat Pho with the reclining Buddha. Being a historical & religious (Buddhist) country, it’s fascinating to see how much culture, tradition & historic architecture are preserved in the heart of capital. The palace & the surrounding temples stand as testimony to the history & identity of the nation, no matter how progressive it gets. We then went to Darul Aman Mosque at Soi 7, Patcharaburi to pray & have lunch. Being Muslim explorers, it is only natural that we visit the local Muslim community & what better place to experience the dakwah legacy by visiting the local mosque & Muslim village. We also had the opportunity to listen to the Adzan (call to prayer) called by the local muazin, as the beautiful global call to God peacefully reminded us on our purpose of life. There were plenty of halal restaurants around the mosque. So we ate as much local food as we could including tom yam, fish & local recipes of beef & chicken. 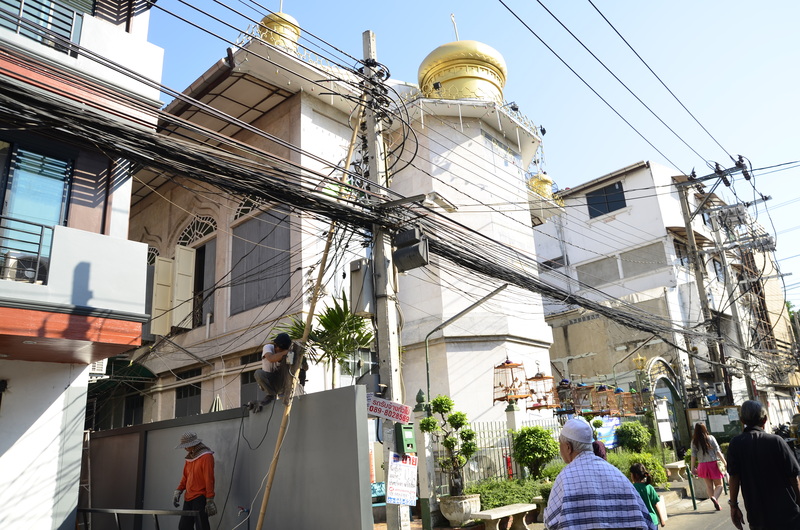 We happened to return here the following day again for prayers, dinner, and touring the Soi Surau streets to observe local Muslim life in Bangkok. After lunch, we went to shop at Mah Boon Krong (MBK) center at Siam Square for some 2 hours. We also had dinner at a halal restaurant at MBK before going back to our hotel. We ordered beef Pad Thai to finally eat Pad Thai in Thailand. We would return to MBK every single night to shop & explore other activities. 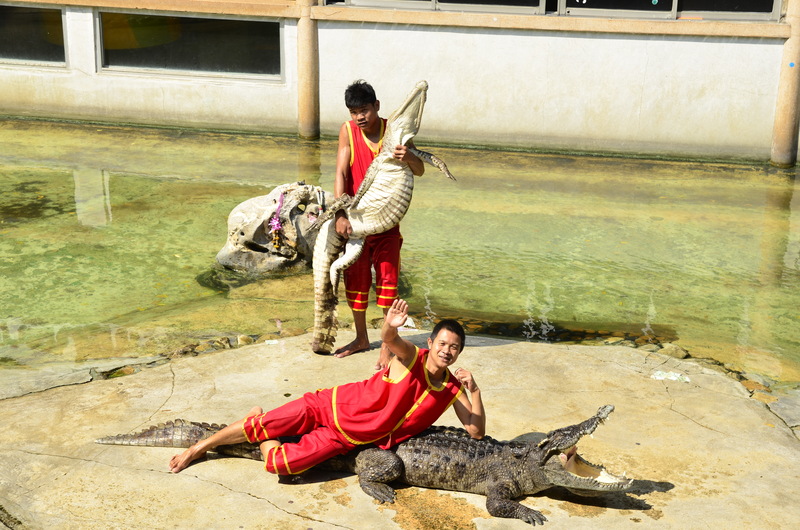 On our third day, we went to the world renowned Samutprakan Crocodile Farm. Besides a crocodile farm, it also consists of a mini zoo. The crocodile show was the main event, but another highlight to us was the elephant ride. 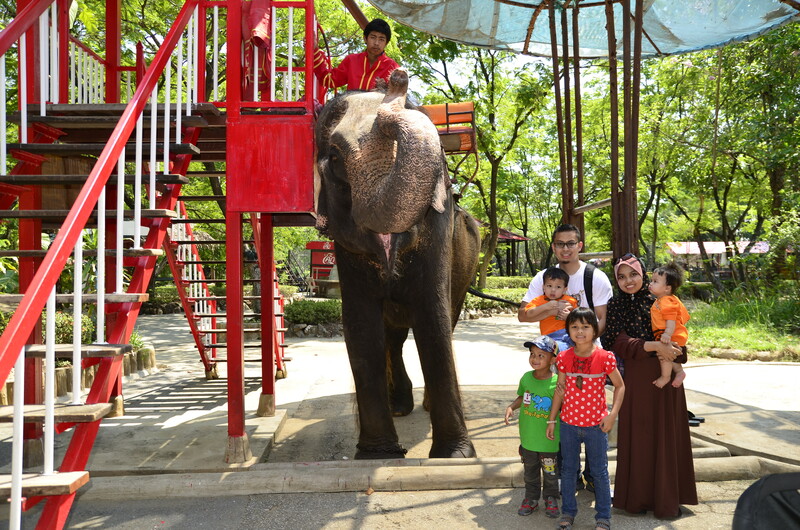 This is the first time my son Aflah rode an elephant. There were also animal feeding; we fed a crocodile, monkeys, orang utans, elephants and a baby tiger. After the crocodile farm, we then went to the Ancient City, a park with a collection of real size replicas of historical buddhist temples & palaces from all over Thailand. The replicas were built to capture as much detail & effect of the real structures. There were also replicas of warships, stupas, statues of monks and ancient gardens, besides temples and palaces. The tour included a guide who would explain the significance of every site so visitors would appreciate the history of the country. We spent about an hour and a half here at the ancient city as the scorching sun forced us to simplify our tour. By nightfall, we were at MBK to witness a live Muay Thai match & shopped again for souvenirs. 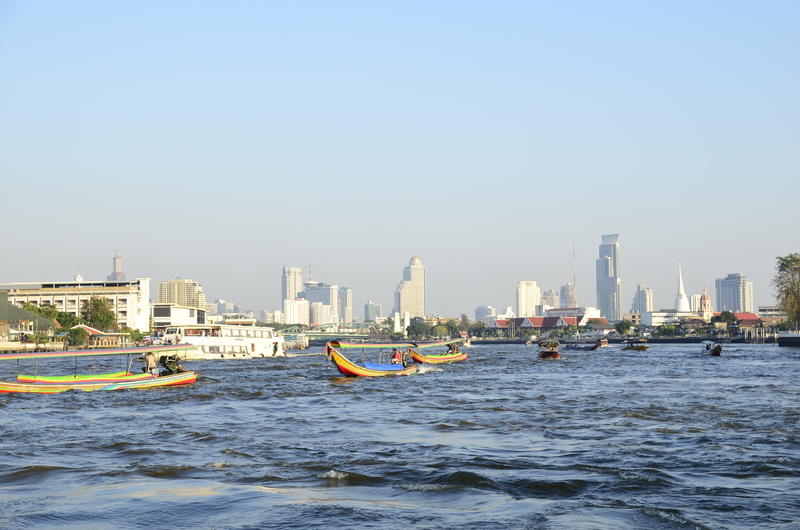 On our last touring day, we went for a boat ride on the Chao Phraya river, the legendary river that sourced the city of Bangkok and northern Thailand. We first took the BTS skytrain to Siam Square, then changing trains to Sathorn Pier. 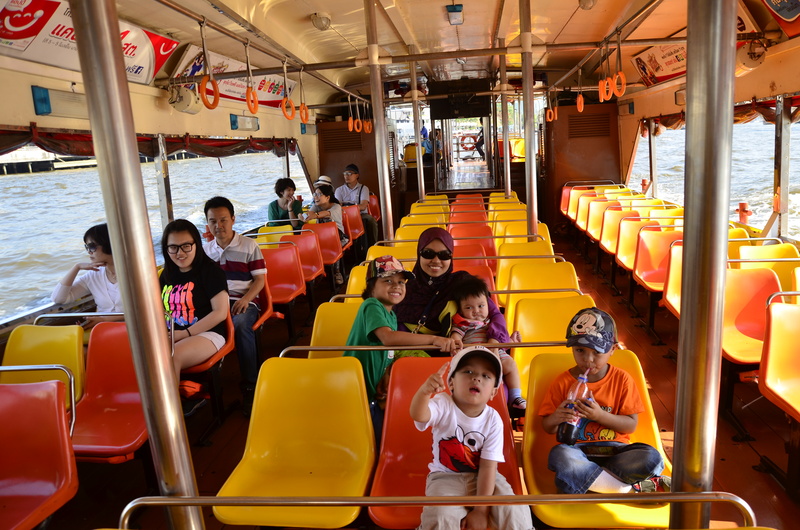 We took a ride on a long boat along the Chao Phraya and got down at Wat Arun temple. 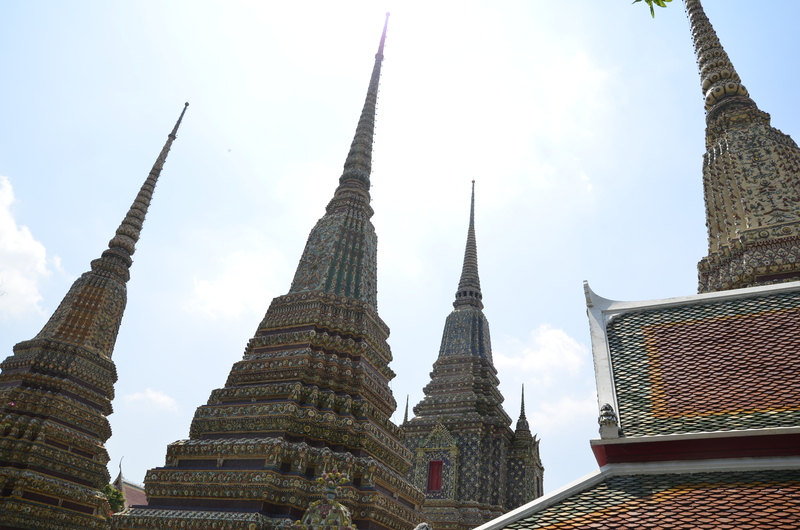 Wat Arun or Temple of the dawn was as subtly sophisticated as the other Wats we visited. We climbed up the foot of the structure to observe the detail arts on the walls of the structure. We were amazed how the structure was colorfully decorated, while from afar, it looked like a grey, ancient weathered building. 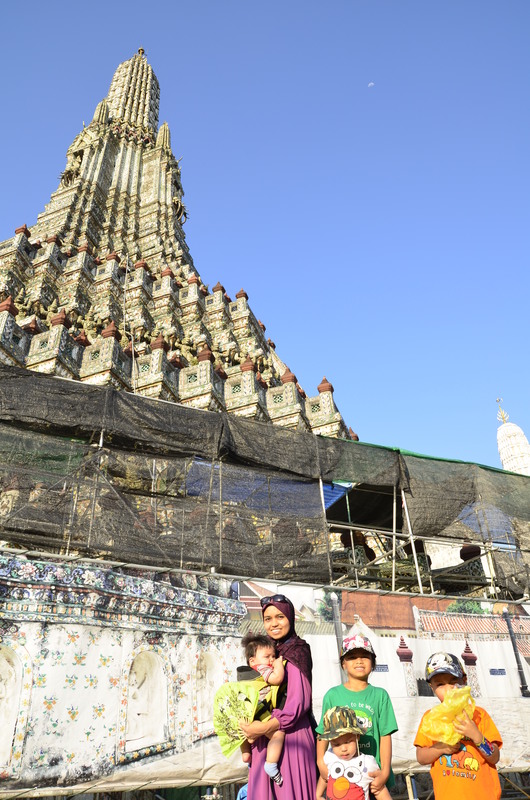 There were restoration efforts conducted on Wat Arun during our visit and tourists could observe the daring workers climbing up scaffolds to work on the structure. Wat Arun would be the last temple we visited in trip. On this day, we also walked around the Siam Square, which consist of a chain of shopping malls. We walked through mall after mall from Siam Paragon to Siam Center to Siam Discovery, and finally to MBK. Siam Square is comparable to Ayala Center in Manila or Bukit Bintang in Kuala Lumpur. However, MBK mall is more comparable to Greenhills in Manila, where the prices are cheap, affordable with quality, despite being in a modern air-cond building. We had lunch at the food court of Siam Paragon & dinner at MBK. There are plenty of halal food around in Siam Square. At MBK, we visited the Magic Art Museum and had real photography fun. There were numerous creative wall paintings that enabled visitors to photograph themselves as if they are in the scene. The kids really enjoyed the place as they could use their imagination and creativity with every picture & design. I tried my best on my camera to capture every fun moment on my DSLR. We ended the night by stopping at Thong Lor night market to catch our favourite newly discovered food one last time. On our final day in Bangkok, we took opportunity to enjoy the pool at the hotel before leaving for Suvarnabhumi airport. The trip felt short as we knew there are still much more to explore about Bangkok. Despite that, those 5 days in the Thai capital was definitely fulfilling.